The image isjarring. This upbeat government poster encouraging moral rectitude among citizens features the image of rock star Psy doing his “Gangnam Style” dance. The title given for this section is ” ‘Illegal Business of Ill-repute’ NO!” No doubt a campaign against houses of prostitution. 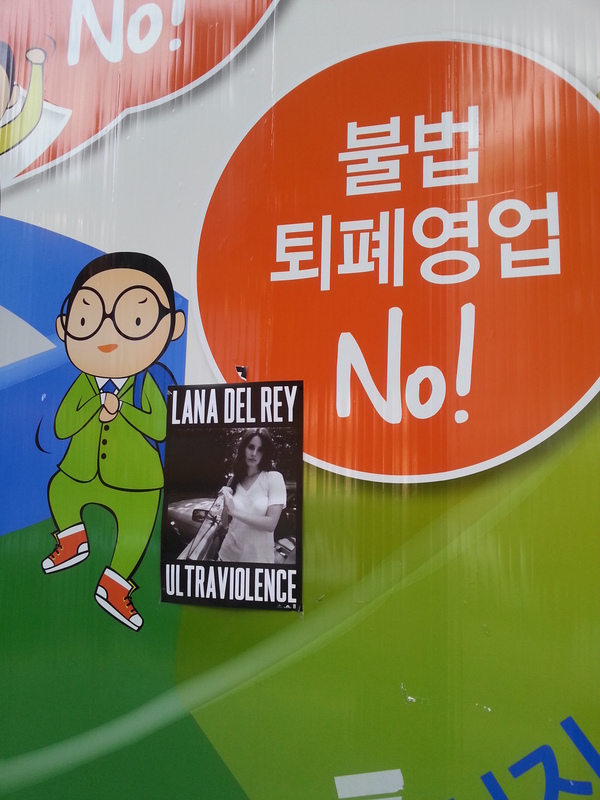 But the poster someone has put up advertizing “ultraviolence” is a bit jarring. I wonder if the person who posted that poster understood the term “ultraviolence” in its original context, or meant the juxtiposion to be humorous. “Illegal Business of Ill-repute” NO! 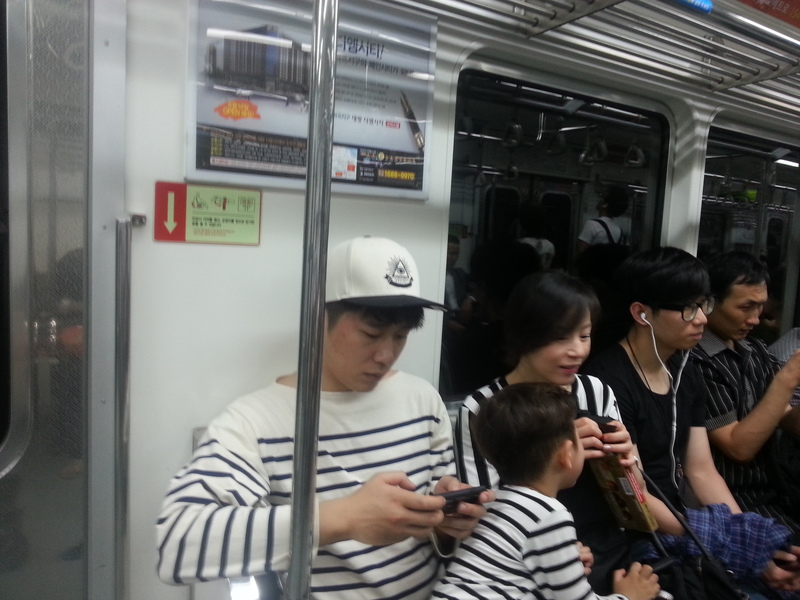 Recently it seems like Seoul is being swept by a conspiracy fashion wave. Here are just a few examples I spotted around town. 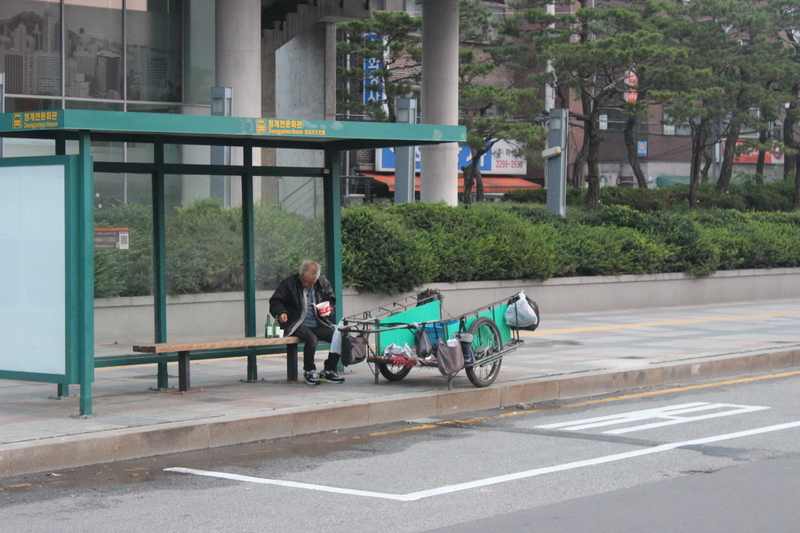 한국의 입시 개혁을 얘기한다는 것은 간단한 문제이기도, 아주 복잡한 문제이기도 하다. 사람의 가치를 졸업한 학교에 따라서 판단하는 한국의 관습이 남아 있고, 사람의 사회적 지위를 직업에 따라 판단하고 그중 일부 직업이 특별히 높은 대우를 받고 있는 한 입시 개혁을 말하는 것은 큰 의미가 없다. Commercials for German automobiles follow a similar theme. A sleek car is shown racing through a grove of trees and coming to a smooth stop in front of a stately manor house. The narration describes the outstanding tradition of “German engineering” that gives this luxury car an exquisite solidity that cannot be found in other run-of-the-mill brands. 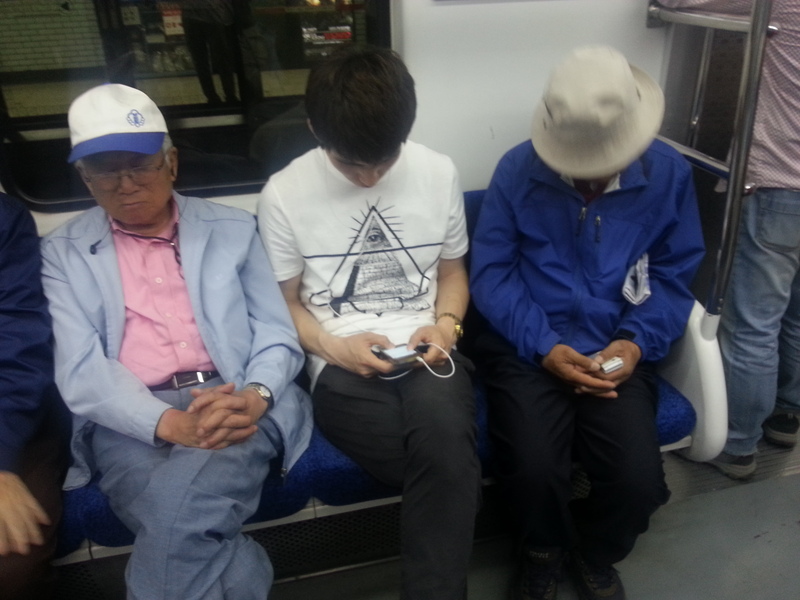 독일자동차의 TV 광고는유사한패턴을보여준다. 날렵한차한대가울창한숲길을순식간에가로질러고풍스러운저택앞에사뿐히멈춰선다. 바로그때다른익숙한자동차브랜드에선볼수없는독일차특유의정교함을자랑하는독일의독보적인엔지니어링기술에대한설명이뒤따른다. The Independence Day bash hosted by the American Embassy at the Hyatt Hotel on Friday was not visibly affected by the massive banquets held simultaneously to welcome President Xi Jinping on his historic state visit to Seoul. But the quiet of the moment should not deceive us as to the seriousness of the situation. The perfectly choreographed visit of Xi implies a profound, multifaceted, challenge to American leadership in East Asia, of which most Washington pundits have failed to take note. My daughter introduced me to these jokes. Some of the best I have seen.